I mentioned earlier this week that I spent Sunday at the NJ BBQ Championship. Every year, my highlight of the show is Rib-bins Mild BBQ Sauce. 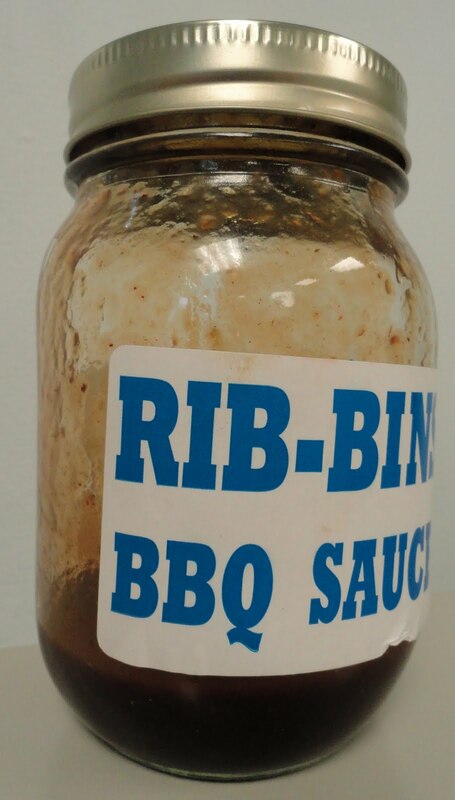 The good folks at Rib-bins have no website...they must be too busy cooking up ribs and batches of tasty sauce...but TCB has learned they're based out of Chambersburg, PA. This true Kansas City-style sauce is a creamy blend of sweet and tangy. As you can see by the pic, my single mason jar (they sold out) didn't make it past week one. It's particularly good on grilled meats, especially ribs. Also, I really like the label, which lists "fourteen secret herbs and spices" as an official ingredient. If you ever see the Rib-bins crew at a BBQ festival, make sure you pick up a jar of this sauce!